Induce an innovative twist in your range of homeware by opting for this Long drink glass that comes with a skull design. 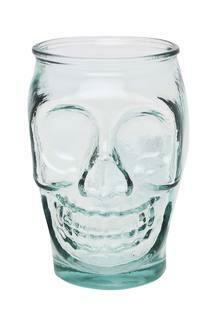 Crafted from recycled glass, it has a classy appeal while the fine craftsmanship renders it all the more fetching. This one will be a fine inclusion in the kitchen of every contemporary homemaker. 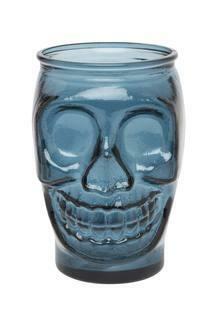 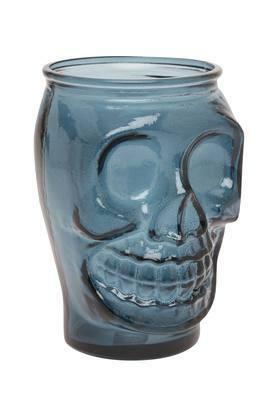 Storing your edibles is now easy with this trendy glass skull jar from the house of Back to Earth.